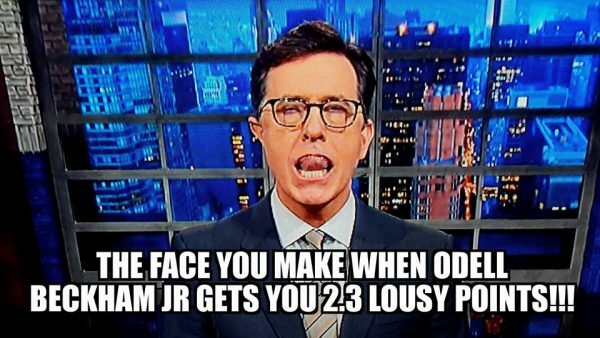 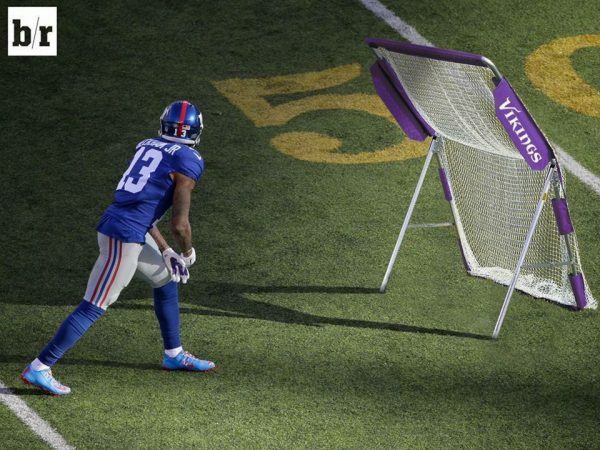 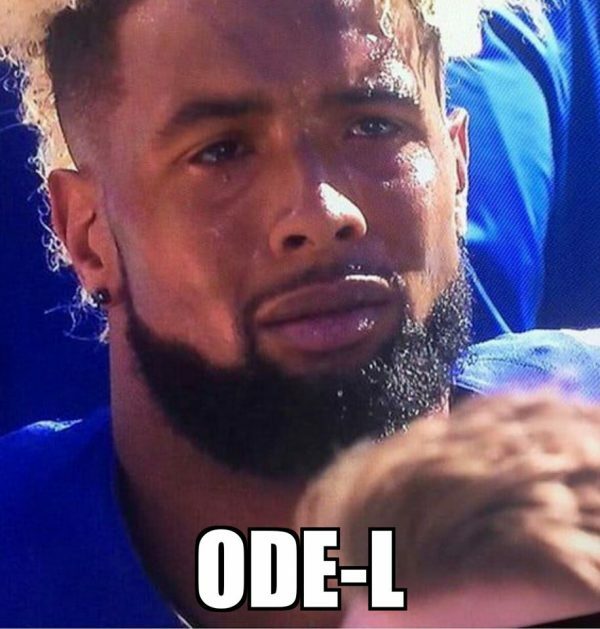 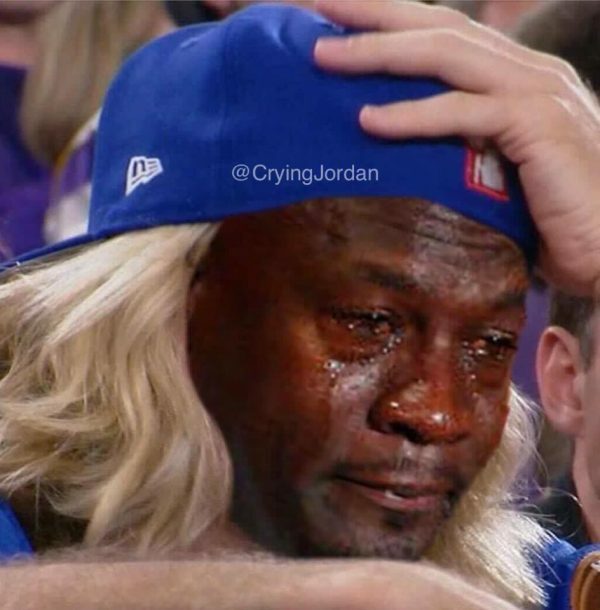 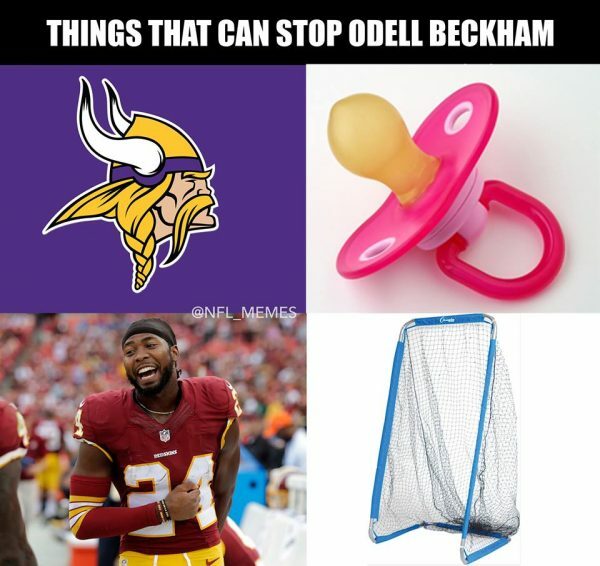 The New York Giants were never going to do well against the Minnesota Vikings, and so the memes making fun of Eli Manning and Odell Beckham were writing themselves even before the kickoff. 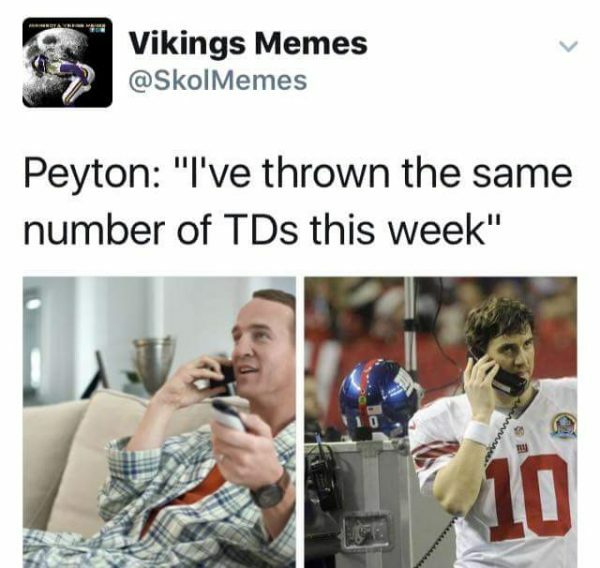 Manning has always struggled against Minnesota for some reason, so when the Vikings have such a good defense, there’s no reason to expect him to do any better. 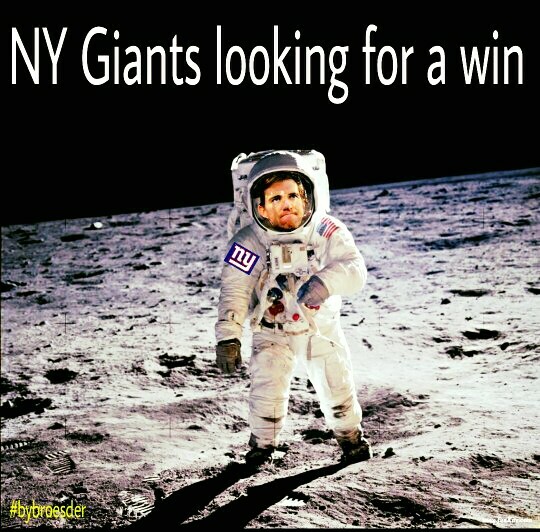 With all of the so called improvements and expensive signings, Manning is still the same quarterback that struggles in the regular season, and the Giants have new, different flaws compared to those keeping them out of the playoffs for the last four seasons. 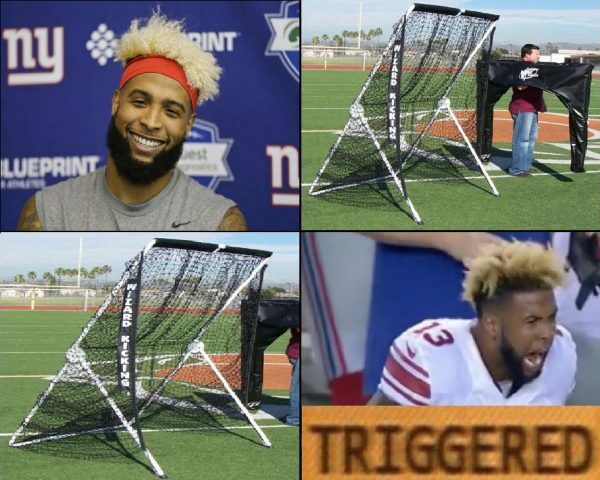 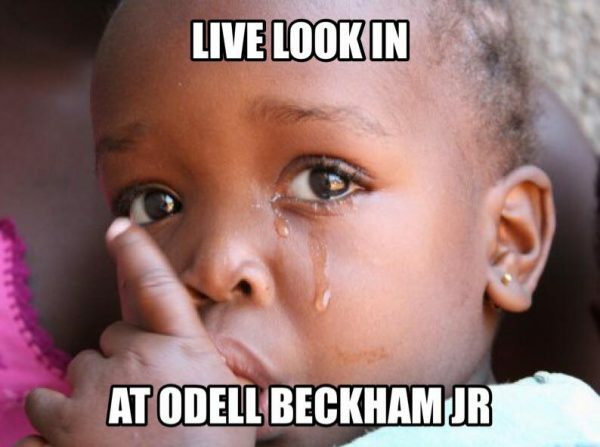 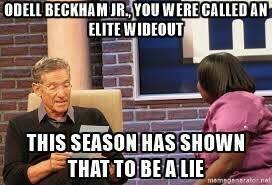 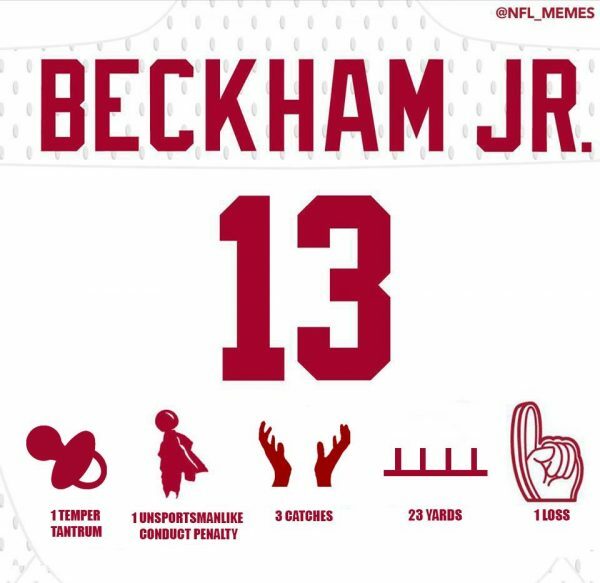 Beckham is turning himself into the biggest joke in the league. 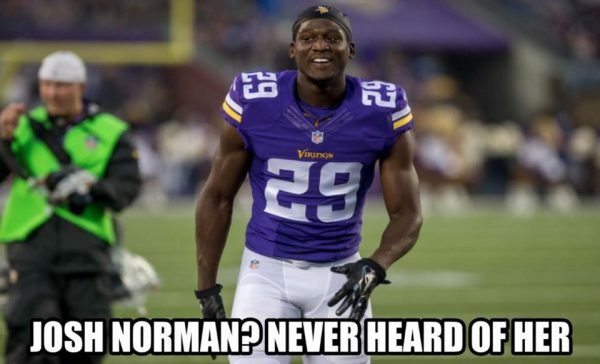 He’ll have bigger games and bad ones, like his night against the Vikings (3 receptions, 23 yards). 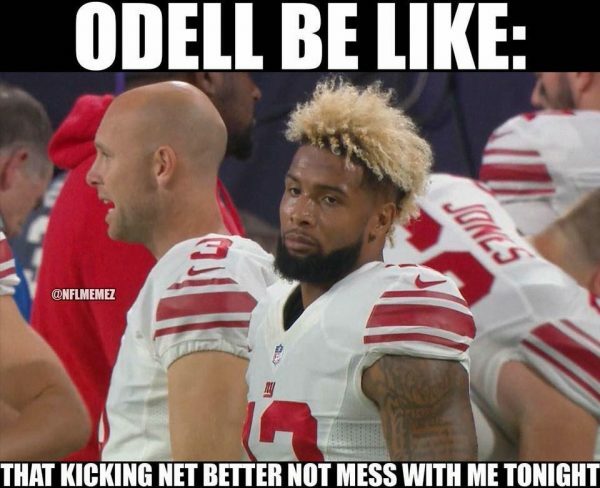 However, his inability to avoid confrontations and his behavior on the sidelines making seem almost unhinged and easy to mess with isn’t helping him or the Giants out, relying so heavily on his athletic ability. 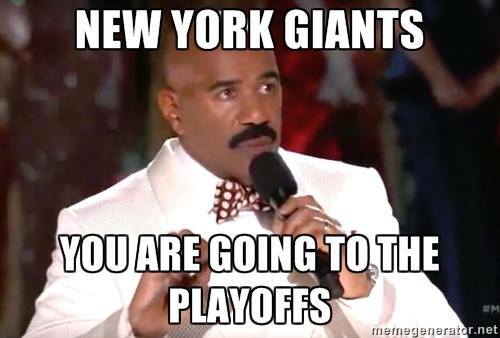 The NFC East is a long way from being decided, and the Giants should look better down the road. 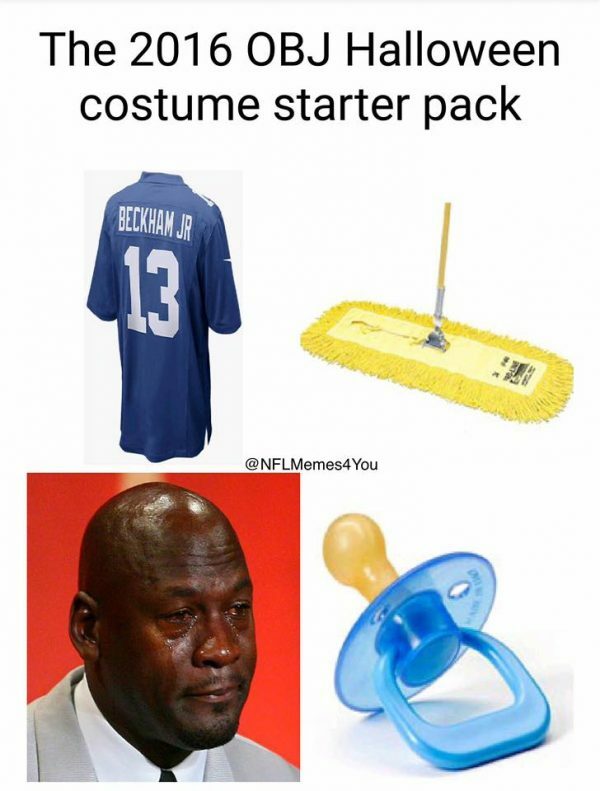 But they were unimpressive in their first two wins, and have only gotten worse with every game gone by this season. 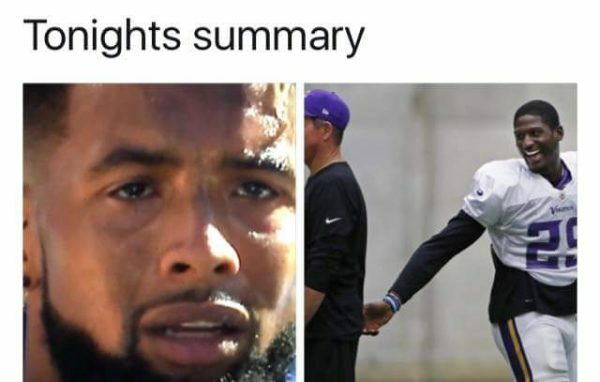 Maybe calling them overrated right now would be jumping the gun, but it sure looks like the celebration of throwing dollars at free agents hasn’t made them as good as they thought they’d be. 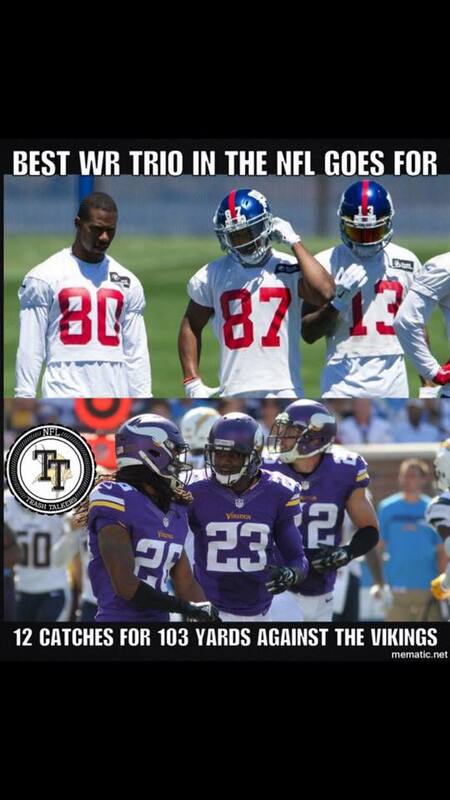 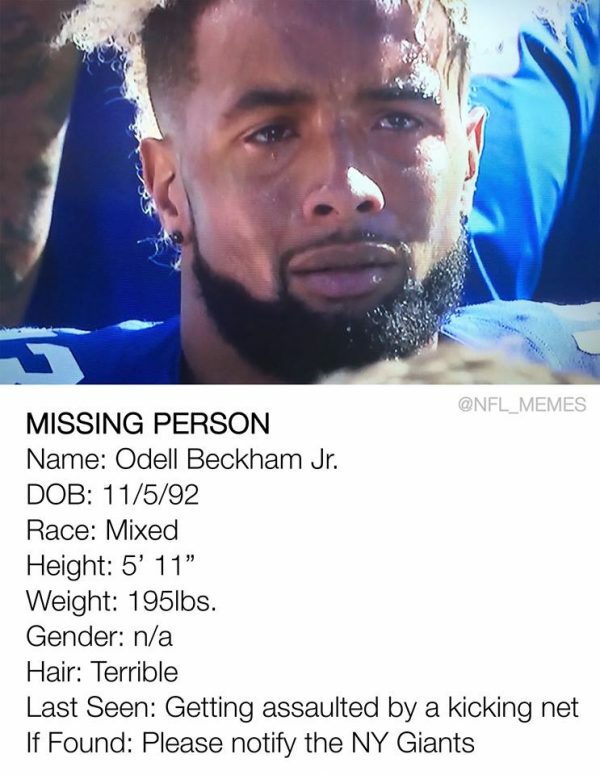 Tags: Eli Manning, memes, minnesota Vikings, New York Giants, NFL Memes, Odell Beckham Jr.